Hello! I have returned from the land of the computer-less, having spent the last ten days adrift in an ocean of disconnect, where everything was bleak and lonely and there were no books of faces for me to look at. Apologies for the hiatus. Business as usual has returned. This week is a glorious, warm, thing. There seems to be a large yellow orb hovering over the city providing much warmth, most are calling it the “sun”, I however am not beyond believing it is actually a UFO emanating heat waves in an attempt to burn our freckly Irish skin to melanomic proportions in a slow bid to take over the world. Clever aliens are playing a long game with this one. The soil is dry, the air smells like coconut (I am yet to see evidence of this being from sunscreen and am leaning on the theory that the aliens are planting coconut trees in Ireland in order to ruin our ecosystem with a foreign species should the skin burning plan not work out). Gardens everywhere are blooming, there are dahlias, foxgloves and sunflowers everywhere and cabbages seem to be growing at an astronomical rate (Aliens? Anyone? The evidence is stacking up here). Unfortunately for me, I have been trapped in the office all day everyday, longing to go out to the plot to bask in the heat rays, to pick some veggies, water my plants and get my daisy dukes on while I do some hoeing. My toe is finally on the mend after the toe breaking incident. Yep, only seven weeks later and it’s nearly not broken anymore. As you can imagine, my poor plot has suffered as a result. The polytunnel is more or less empty, the weeds are running wild and there’s not as much planted as I would have liked. This wouldn’t be all so bad if it wasn’t for the gross crime that seemed to have been committed last weekend. It was a dull, warm Saturday evening, I was going about my business socialising with some friends, engaging in some mild dancing, indulging in some not-so-mild beverages, oblivious to the fact there were two ruffians invading my plot to steal some of my glorious rhubarb. Word on the grapevine is that two unidentified individuals entered my allotment, looking a bit shifty. One, a dark man, with a Tom Selleck style moustache, only more glorious; the other, a female with dark curly hair that bounced as she giggled. The story goes, they made a beeline for my glorious rhubarb patch, the crowning glory of plot P26. Stalks that reached to the sky, pink stems thick and proud, large umbrellas of leaves providing shade for the royal Victorian stems below. These two individuals are said to have committed regicide, tearing through the royal rhubarb court at speed, pulling up the rhubarb stems, discarding the leaves into my compost bin and taking off into the summer night with armfuls of fruit, giggling like princesses. What a royal pain in my……neck. 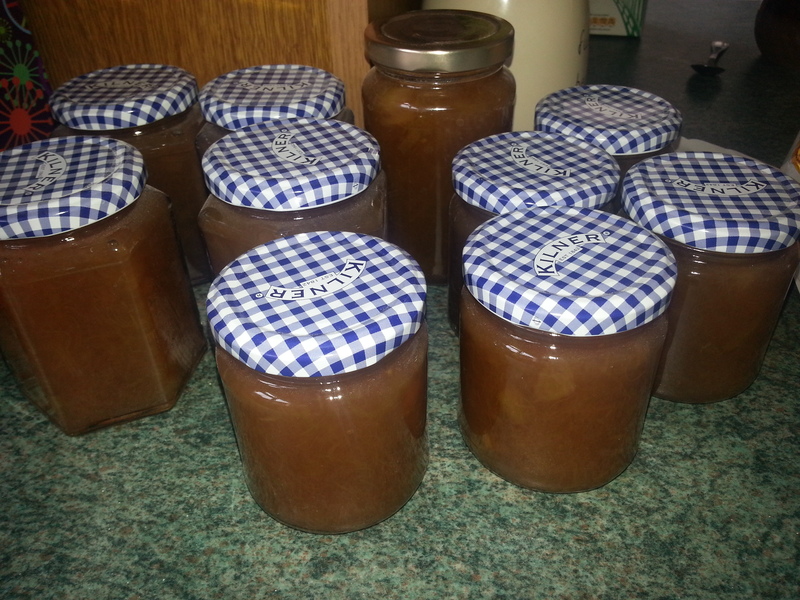 On a completely unrelated note and I’m sure this is just one giant coincidence, my parents seem to have gotten their hands on twenty fresh jars of Rhubarb jam. Yum. Yes, in those embarrassing words of my second year school principal, Springtime has finally arrived. The garden is just about to go into overdrive, with only four weeks until March is upon us, which is the craziest month of the gardening calendar really. So, to get you prepared for the weeks ahead, here’s some jobs to keep you busy in the garden before the serious planting begins. It’s time to get chitting. Your early potatoes will do well if you chit them for a few weeks. 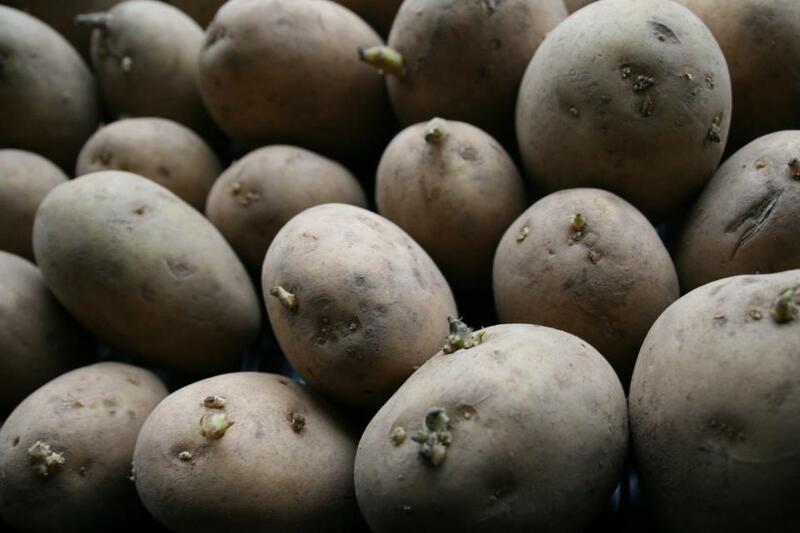 Chitting potatoes is simply the process of letting your seed potatoes sprout before planting them. The best way to do this, I find, is to place them on a cold windowsill that gets plenty of natural light. I usually place them in old egg cartons, and leave them there for a few weeks to sprout. The shorter and thicker the little sprouts are, the stronger your plants will be. Prune your fruit bushes if you haven’t already. Remove any winter damage and cut them into shape, trust me, this is especially necessary with the invasive fruits like blackberries or raspberries, otherwise they will take over come mid-summer and you will be doing battle with them all year. And believe me, I’ve done battle with blackberry bushes before, it’s not pretty, the thorns win every time. If you haven’t began to warm up our soil, you should really do that now. Spread some manure over them, cover with a black plastic or mypex and the soil should warm up in about two to three weeks, this will help ensure your seedlings get a good start in life. SOWING TIME!! Yes, this is the time we can begin to do some serious planting. Leeks, tomatoes, chillies/peppers, lettuces, aubergines, celery and beetroot will all benefit from being sown indoors in February. 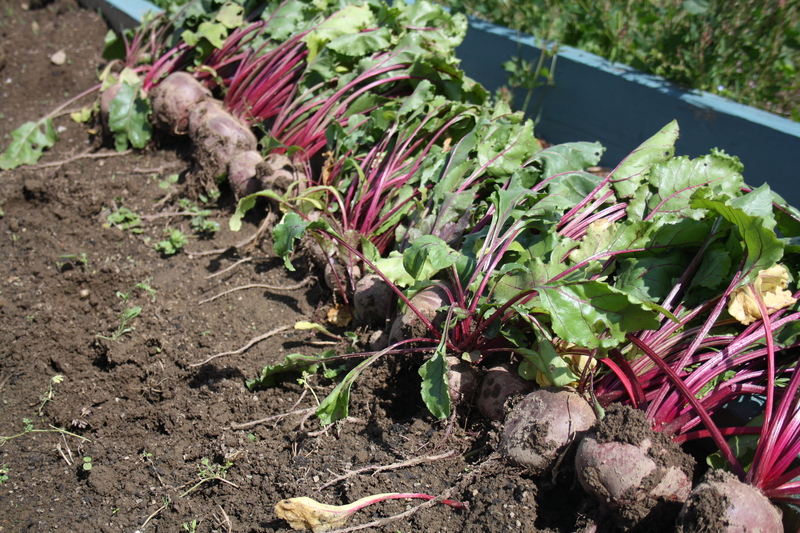 Outdoors you can plant broad beans, kohlrabi, parsnips, and some early pea varieties. 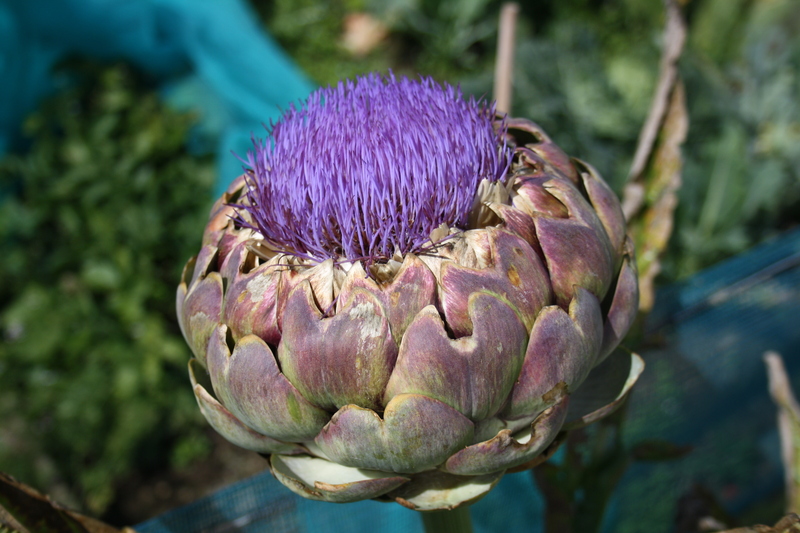 There’s not much to harvest in February, unless maybe you have a polytunnel/glasshouse or have some overwintering crops like Purple Sprouting Broccoli or winter cabbages. Build yourself a cold frame if you can, this is one of the things I have on my long list of garden projects. A cold frame will come in very useful in late spring/early summer for transplanting seedlings outdoors. You can’t just move a plant from the heat of a windowsill or greenhouse straight outside, the poor thing would be traumatised. You need to harden the plants off first. Usually this means, placing the seedling outdoors for a few hours a day until they have acclimatised. A cold frame will make this process much easier and help extend your gardening season by a few weeks every year. If you don’t have a compost heap by now (I won’t shame you but I want to), this is the time to do it. You will need it, compost is the heart and soul of your garden, it’s gardening alchemy, turning waste into gold. Dig. Do lots of digging. If your soil isn’t to wet or frozen, get it dug now. And just one more tip, enjoy this month, it’s a lean one but the garden is beginning to wake up. Watch how the evenings get longer, watch your spring bulbs begin to come up, listen out for the birds singing early every morning, it’s lovely (I feel like I’m about to break into joyous song à la Maria in the Sound of Music). 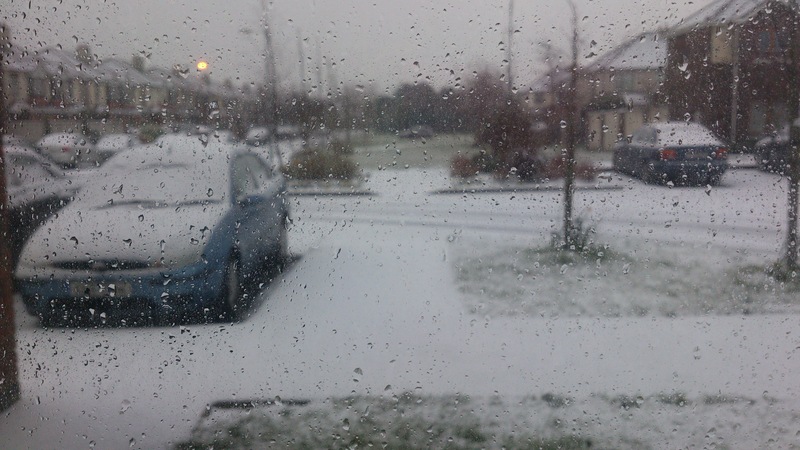 It’s invariably our coldest month here in Ireland, today we have snow on the mountains, it’s currently 2 degrees Celsius outside (36 Fahrenheit for my American readers). However, the dark winter months have passed us by, the gardening year is getting into full swing now. Get your affairs in order and go out and enjoy the world this spring. It’s dark, it’s cold, there are only a few hours of light a day, it’s wet, it’s barren, the plot is a mess. Sound familiar? 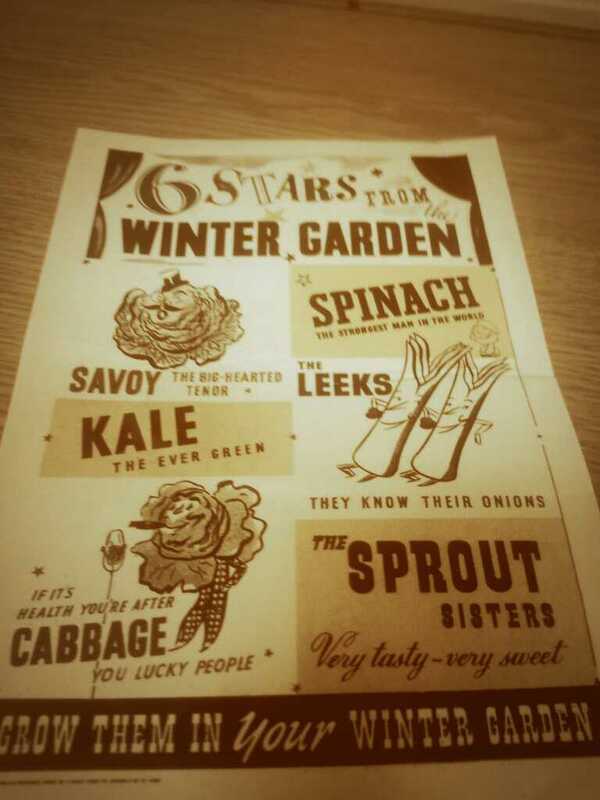 It may be late into winter but it is a new year and the garden season is just about to kick off. Despite the cold and dull weather, there’s a tonne to do in the garden in January before the planting kicks off in a few weeks time. Most importantly, it’s time to get your soil ready for planting. It’s no use planting seeds in terrible cold soil in spring, so spread some well rotted manure or compost on your beds, If you can get seaweed, do it, it’s great for your soil, packed full of nutrients. 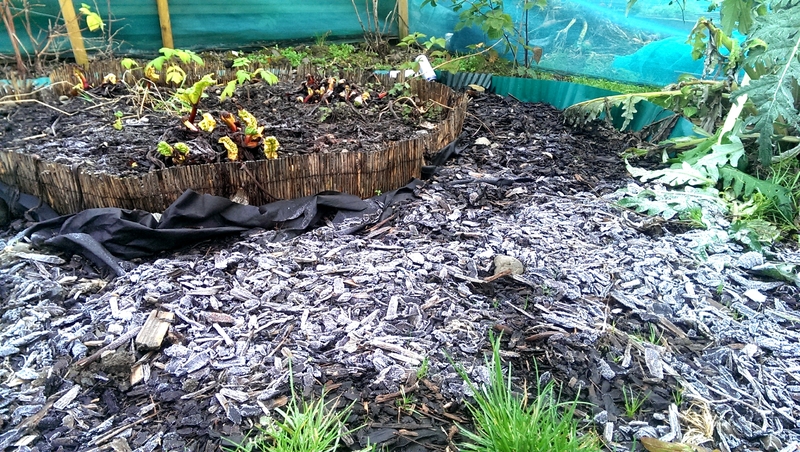 Cover your beds up with polythene to let the soil heat up for springtime. If you still have winter veggies in the ground, this is the time to harvest them, parsnips and the last of your spuds need to be up in the next two weeks so if you have a glut, get yourself a decent soup recipe (watch this space). It’s a great time of the year to get any infrastructural work completed in your garden. Fix your fences, mend your gates, reinforce your sheds and your beds, these are the jobs that you won’t have time to do during the summer months when you’re knee deep in weeds. You can get some digging done too if the ground isn’t too frosty, wait for a good rain then turn your soil over. You can of course, get excited and begin to chit your early potatoes. Prune your fruit bushes if you need, especially your gooseberries and currant bushes. Wash your tools and pots, seeds will do better if your pots are clean, it’s the little things like this that make the gardening year easier. You can begin to force your rhubarb if you are so inclined. Cover it with straw and an upturned pot to keep out the light and force them, you will get lovely tender stems early in March. Buy your seeds, this is often one of the most fun parts of the year, choosing what to grow, shop around for your seeds, have a seed swap with your fellow gardeners, order some heirloom varieties, have some fun with what you grow. If you have a polytunnel, get some seeds planted, keep them warm, water them well and you’ll be well prepared. 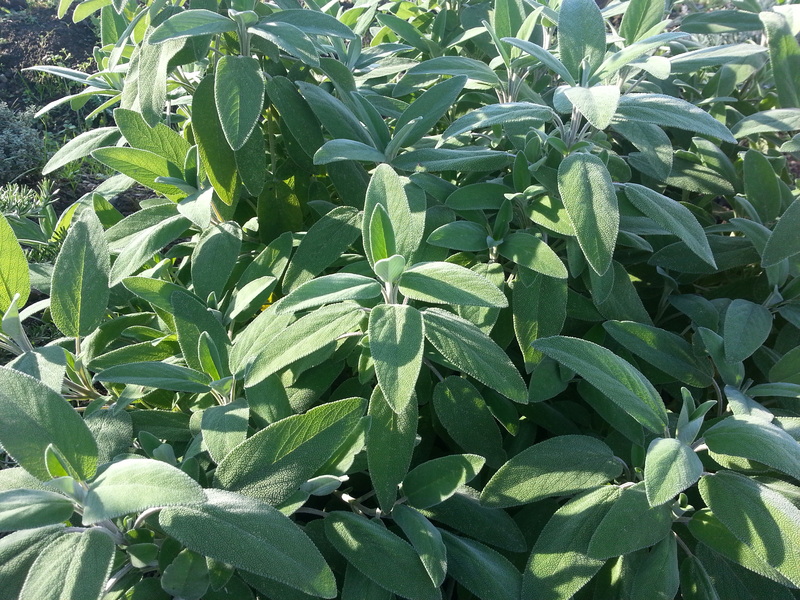 Broad beans are great to plant this time of year but make sure they don’t get frost damage. In a few short weeks you’ll be grateful if you get ahead of yourself in January, it’s worth braving the elements for. My plot this morning, very chilly indeed. And just like that, It’s a new year. Last year, I had many plans. So many plans. Some came to fruition, some not. Mostly not. I had a list of resolutions a mile long and a spate of good intentions. But, you know what they say about the best laid plans of mice and men. That Robert Burns was a smart man. I was thinking that the other day on the way to my allotment, how the best laid plans always go awry, and of course I began to hark back to that great Steinbeck novel. How all Lennie wanted to do was to “live off the fatta’ the land”. The simplicity of it. His simple plan, it’s not too far off from mine (I don’t however want to end up like he did, that would be all sorts of a headache). I realised today that I can plan the garden all I want, life will always come along and throw me a curve ball. Mother nature will whip up a storm, a blight will hit, a slug will eat a cabbage, I’ll be stung by a nettle, I’ll have a work crisis, a family crisis, a personal crisis. However, I have a constant. I have a constant desire to garden, to grow, to get my hands all dirty. To dig up weeds, to drink tea while picking herbs, to squelch around the mud in my wellies. To plant seeds and watch them grow. To taste carrots straight out of the muck. To make fresh mojitos from my mint. To chat to my fellow gardeners, they know all of the dirt. So I guess my plans can fail all they want but I will continue to try, because it gives me such joy and sometimes, the unexpected can make the garden far more interesting. For 2014, I have huge plans, serious plans for the plot. I want to install a polytunnel, I want to grow tomatoes and chillies and peppers. I want to finally grow some courgettes! I want to have a pretty plot, I want flowers and herbs and pretty colours. I want a sanctuary for me and the bees. I’ll call it my very own bee loud glade, I’ll do Yeats proud with it. We’ve had some really bad storms in Ireland the past 10 days. Floods and high winds, serious damage to roads and infrastructure. 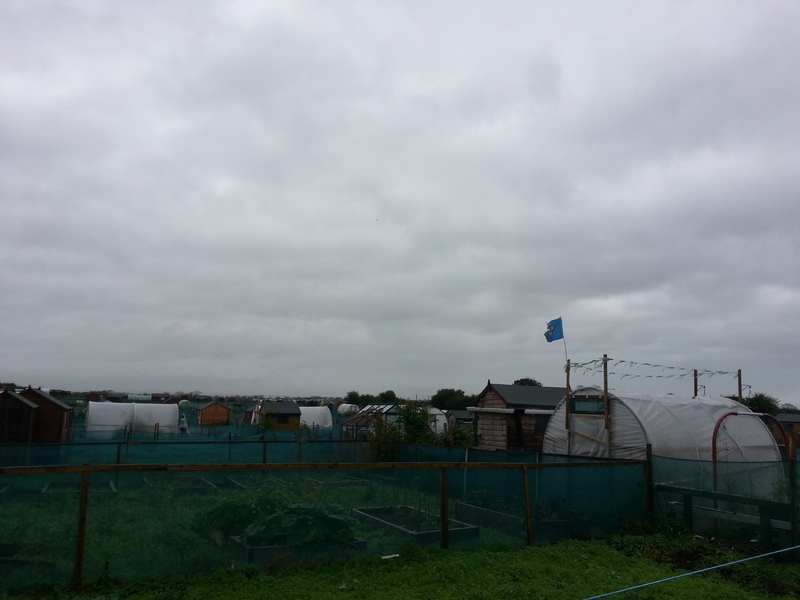 On site, there were sheds littered around the site, I saw a few destroyed greenhouses and polytunnels. Somehow, I escaped relatively unscathed. One of my fence posts snapped so that’ll need to be replaced but otherwise all is good on plot P26, albeit a bit barren and forlorn after the winter months. It’s the lean season, when you can’t plant much and there’s not much to harvest. Except of course for my parsnips, of which I dug some this week, it made me deliriously happy. 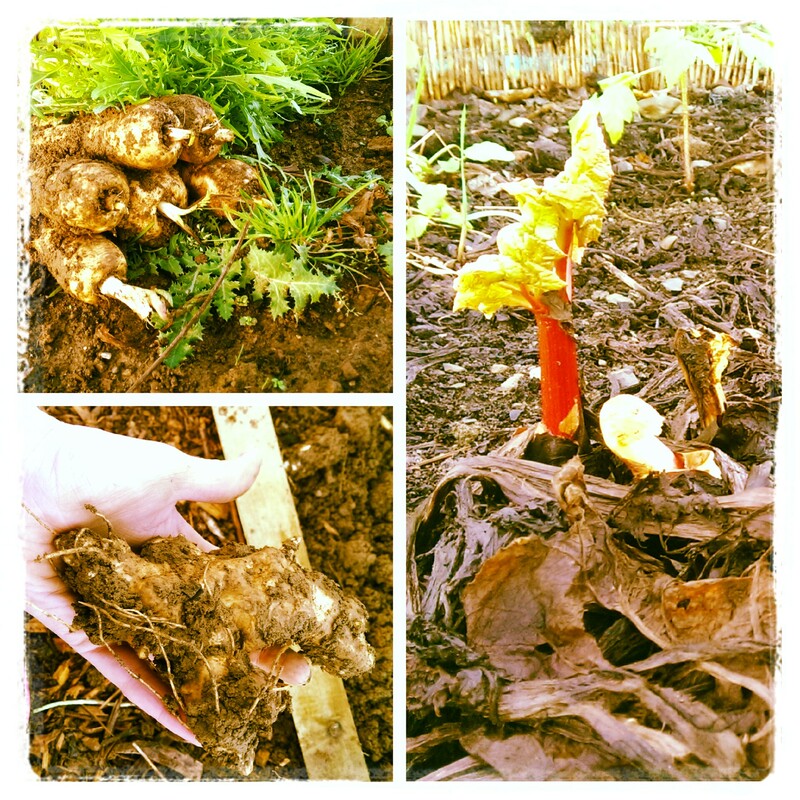 I also dug up some Jerusalem Artichokes and picked some of my asian winter greens. It might be winter, but there’s life in the old girl yet. This is the perfect time of the year to plan. To plot and plan, plan the plot. Get digging, get growing, get a small pot on your balcony, build a raised bed in your garden, grow some herbs, grow some potatoes in a sack, get a bee hive, some chickens, a pig. Experience they joy of producing food. Last year was a stormy one for me, but here I am, after the storms, still planning, always planning, still yearning to grow and ready to garden the hell out of the year. I’m currently drawing up the layout of the plot for this year so I’ll share it as soon as it’s done. Always interesting to see how differently it works out come the following winter. Best laid plans……etc, going over old ground now (see what I did there?). Happy New Year to you all and get growing, you’ll thank yourselves this time next year. 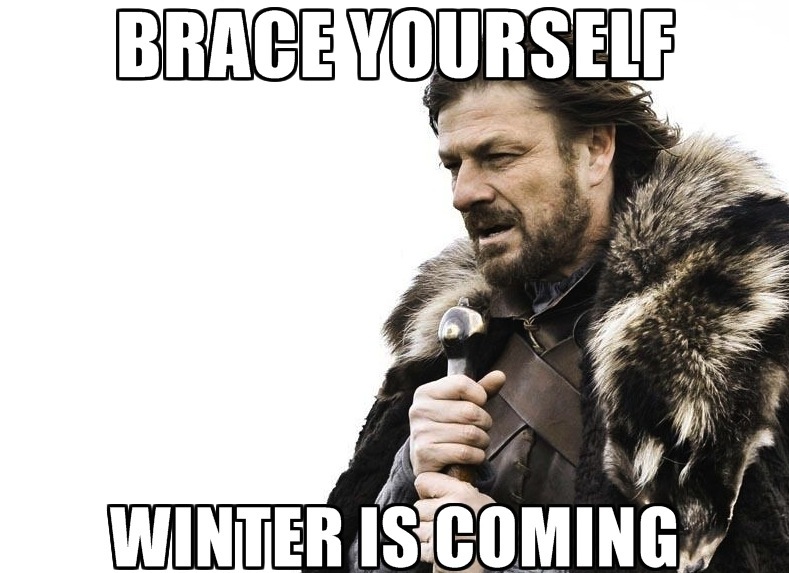 As the honourable Ned Stark once said said repeatedly, “Winter is Coming”. In fact, friends, winter is just about here, the clocks went back on Saturday and now it is dark by six in the evening. It is getting that bit colder every day and before we know it The Others will be among us (well, maybe not, but it does no harm to be cautious). However, despite the wind and rain and cold and darkness, I like the winter, it is a time to reflect, to take stock and to plan. With this in mind, I am going to get to work this winter. I have some major changes I want to make to the plot. 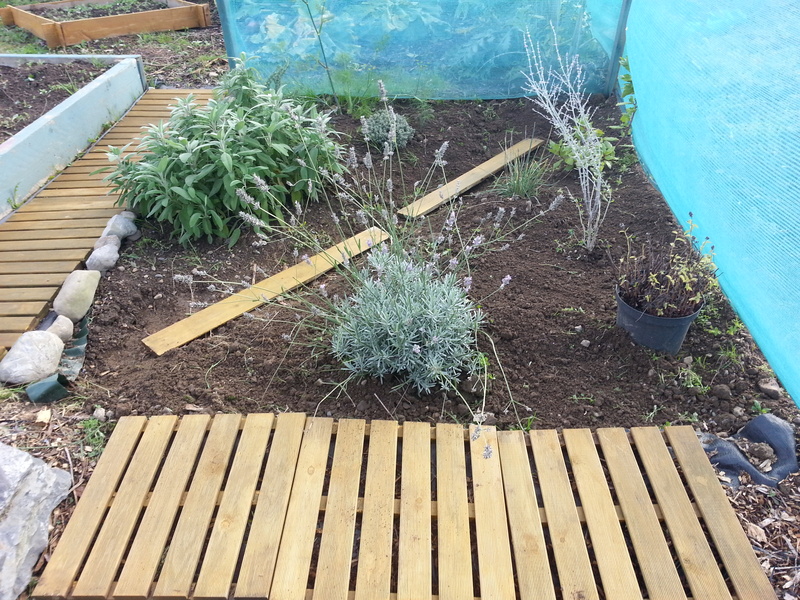 I have a huge section of totally unworked land at one end of my plot which I am going to turn into a bee garden. I hope to add a small seating area for those hot summer days on the plot where I can sit and simply enjoy my surroundings. 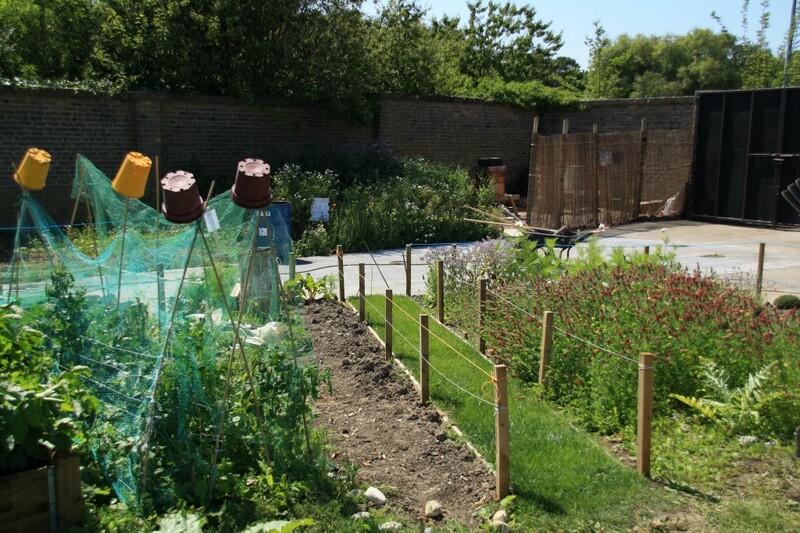 This is the perfect time of year to get busy with structural changes on your plot as there’s not a huge amount to do in terms of planting and the weed growth slows down significantly. The ground is perfect for digging, the rain softens it and the frost hasn’t hit yet so if you do have digging to do, do it now, you’ll be grateful in springtime. I spent a few hours digging today and it was fun! I love when the soil is as workable as it is now, it makes digging and weeding seem like easy work. Winter may not seem like the best time to be in the garden but I’ve enjoyed spending time at the plot the past few weeks, I had gone through a tough phase during the year when I didn’t even think it was possible to keep my plot but I’m so glad I did. The weather has turned but I like the dull rainy days on site, there’s barely a soul around and the place is peaceful, if sometimes a little eery. If you look very very closely, you can see a direwolf in the distance, I swear. There are also plenty of crops still growing if you thought far enough ahead and winter can be one of the best times of the year in the garden. The food is rich, hearty and nutritious, and a hell of a lot tastier than the out of season veggies you buy in the supermarket. My herb garden is pretty much the only thing that looks pretty at the moment, the only crops really growing in my beds right now are my parsnips and my winter salads. However, once November hits, I am going to plant some overwintering crops, garlic, purple sprouting broccoli, chicory and broad beans. It’s hard to believe the gardening year is coming to an end, but then again, it doesn’t really end at all, it’s just a cycle of seasons, a cycle of change. Since I first got my plot, this is the least I’ve had growing on it at any given time and yet there is still plenty, that’s the joy of growing plenty of perennials I suppose. My asparagus is still going strong and in fact, is thriving at the moment, though it’ll be at least another year before I can even think about picking any. 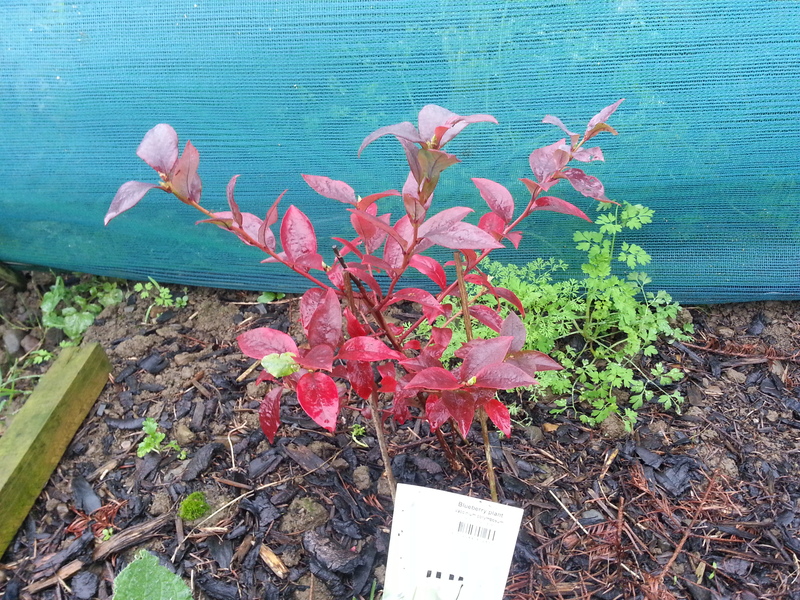 My fruit bushes are all starting to establish themselves, I have 10 foot tall raspberry bushes, a blackberry bush, redcurrant bush, gooseberries and even my two blueberry bushes are beginning to grow and have a beautiful colour in autumn. 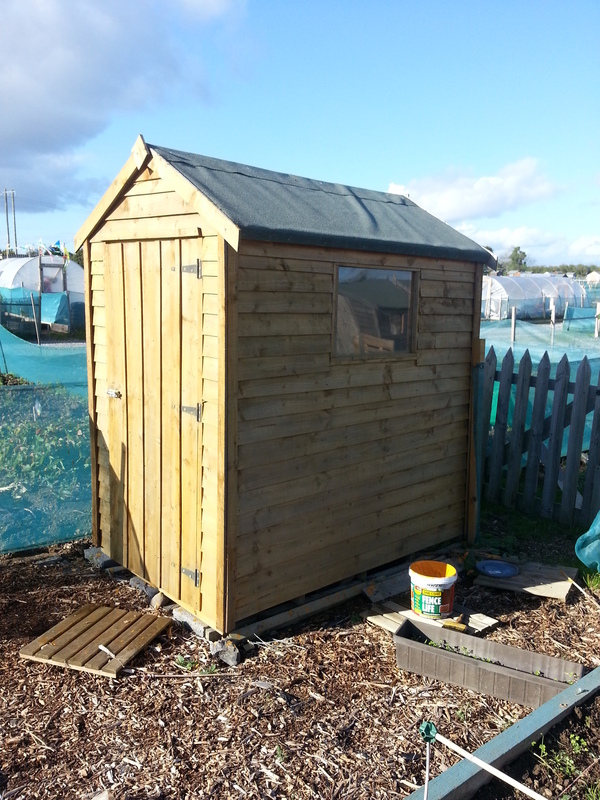 This week, I also finally got around to staining my shed. 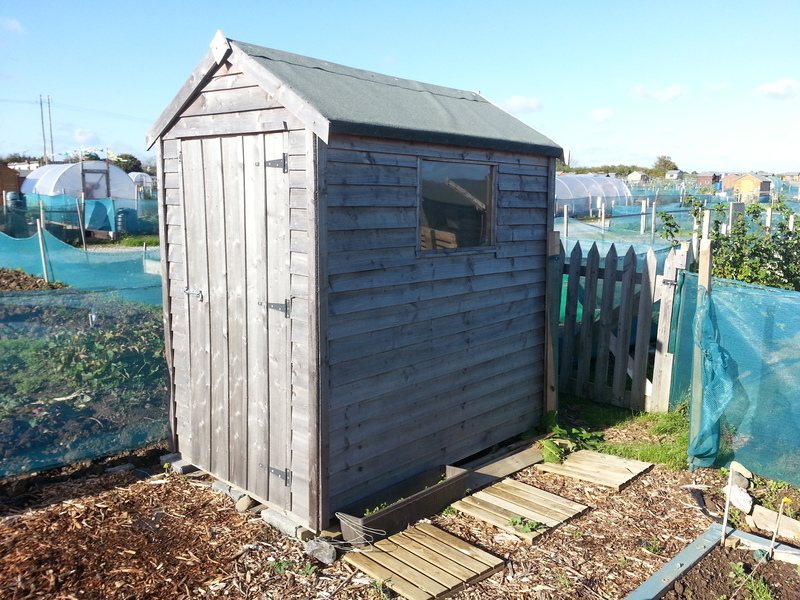 This serves two purposes, one, it looks a hell of a lot better and two, it protects the wood from the battering of the winter weather. It’s strange really, because of the way my year worked out, I didn’t really get time to garden during the gorgeous summer this year, so I’m going to get on my scarves and gloves and make sure I get out there during the cold weather, there’s plenty of work to do, lots of dirt to get under my (Little)finger nails. It has been a number of months since my last blog post. Summer has been and gone, the weather has changed and my life has changed along with it. It has been the hottest summer here in Ireland for over a decade. The days have been long hot and the nights humid and sleepless. I’ve seen more scantily clad, sunburnt bodies than I care to remember. I’ve been to barbecues and beer gardens, birthday parties and Boston and it’s safe to say that I will never forget this summer for as long as I live. My poor allotment bore the brunt of my hectic life the past few months, with everything else I’ve had going on, it faded in to the background. That’s not to say however, that nothing has grown or that it doesn’t continue to thrive. It has been a summer of rhubarb, non stop rhubarb, mountains of it, jars of it, bowls and bowls and bowls of it smothered in custard and vanilla ice cream. I’ve harvested giant beetroots and impressive red onions, pitiful garlic and beautiful pink shallots, red and green lettuces, raspberries and strawberries and every little thing tasted as sweet as only food you grow yourself can taste. I’ve visited other community gardens, some here in Dublin, some across the water in Boston, and enjoyed the inspiration I found in the ingenuity and creativity of fellow gardeners. I’ve sold some plot grown veggies on a stall at a summer festival. I’ve had the pleasure of tasting huge courgettes roasted on a barbeque in a sun soaked walled garden surrounded by friends and family. 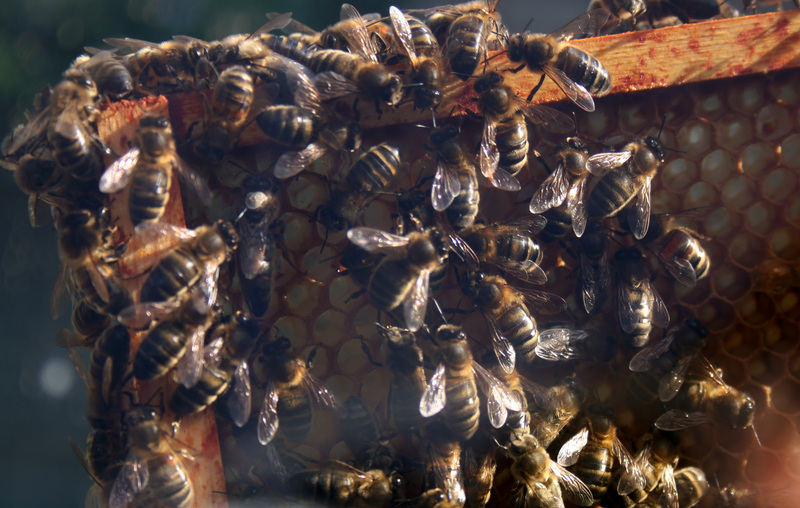 I’ve seen a beehive up close and personal and I witnessed the workers tend to the queen, among their combs of wax and honey. I’ve had the pleasure of spending an hour on my plot with a pheasant, who pecked around my herb garden while I pulled weeds on the other side of the plot. She would stop every now and then to eye me suspiciously, then carry on about her business. I’ve witnessed my dad become a rhubarb and ginger jam making machine. 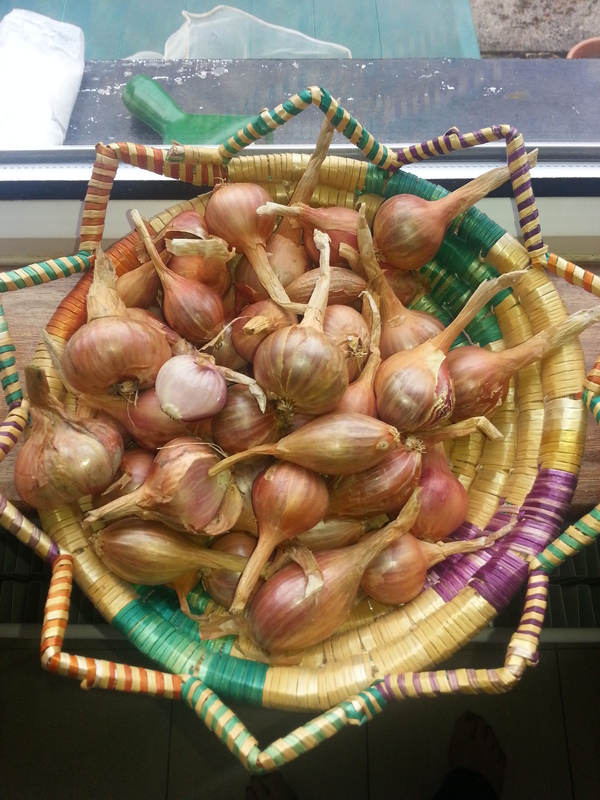 I’ve cursed the loss of my snowball onions to mildew and rot and lamented the complete failure of my garlic. I’ve taken a swig of a can of fizzy orange and felt something furry crawling around my tongue. It was a wasp. The absolute terror. I’ve learned that no matter what happens, even if you abandon your garden for a while, even if your world as you know it ends up on the compost heap, that life goes on and you will always get from a garden more than you put into it. I may have been away for a while but my plot is as productive as ever and now, here I am, in the heart of harvest season; I’ve done less in my garden this summer than ever before and it still provides great bounty. I have many plans for the plot over the coming months so it’s time to get back to basics, do some digging, some weeding and tidy the place up. I’ve planted a bed of winter salads, pak choi and red mustard, I plan on getting some kale in too and some spring cabbages for overwintering. Before we know it, it’ll be winter and I’ll be munching on my parsnips and my jerusalem artichokes but for now I hope to enjoy what’s left of this long, long, long, hot summer. The weather this week has been almost unbearable, at least it has been for gardeners. We’ve had cold, some freezing cold, sunshine cold, snow cold, wet cold, a little-bit-less-cold-than-yesterday cold, then back to snow cold. Today is the 29th of March and it is currently 3 degrees celcius outside. Three! This time last year we were experiencing a bit of an unusual hot spell, I was at the plot every day in a t-shirt; so this year I’m getting very frustrated at the lack of gardening. Somebody may have to restrain me before I eat all of the easter eggs in Ireland in an act of despair. I have done, literally, no gardening since I planted my onions two weeks ago. Even my seedlings on my windowsills won’t grow as there’s no light in the sky. Last weekend the rain was absolutely torrential, constant rain causing floods country wide and making every one very miserable. There were dark grey clouds for six consecutive days. This week, it has been mostly snow, rain, sleet, some rain, some snow, more rain. Today is thankfully a bit drier. It’s a long weekend this weekend, I do have to work tomorrow but have a half day. I will be visiting the plot come hell or high water (likelihood of high water is great). Or even snow. 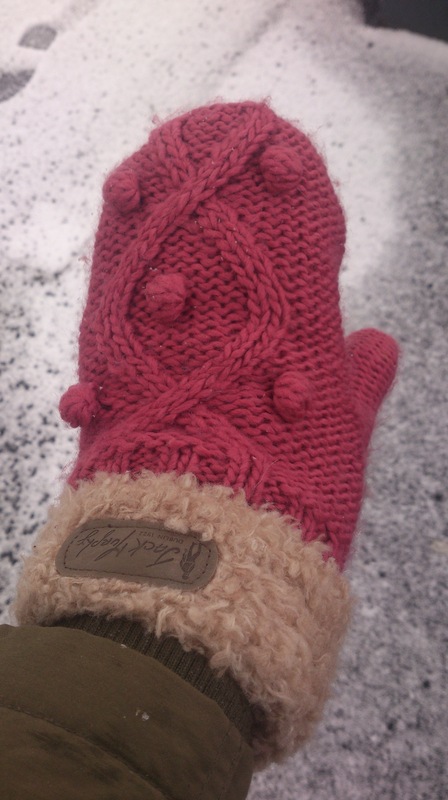 At least I have these bad boys to keep me warm. For those of you wondering about my title, “Fliuch” is gaelic for wet. And yes, it rhymes with the F word.